We are so used to conceiving of time and space in a linear way that we don’t realize we are working with an artificial paradigm. In the same way, it is likely that fish don’t realize they are swimming in water because the water is all they know. However, we do know we spend a lot of time thinking about things that have passed and wishing we could change them, and thinking about the future to try and make events happen the way we’d like them to. Because most of us do not understand the dynamics of the subtle level of experience that underlies our lives on a material level, we don’t know how to be effective in creating change in the past or future. We also don’t realize the past and future are not separate from the present time. From a shamanic perspective, the present is connected with the past and future in an unbroken and seamless way. We don’t notice it because of our linear thinking about time and space. Shamans are trained to work outside the paradigms of time and space we normally share in “consensus reality.” The more easily a shaman can move between these two paradigms—working within the confines of consensus reality and working outside of time— the more effective a shaman is in executing the tasks they seek to accomplish. These understandings are proven, as a quick review of quantum physics will reveal similar information. Physics demonstrates this with experiments just as shamans do when they perform ceremonies and rituals. Both can be setup to affect events related to time and space that lie outside the present. From a shamanic perspective, a person can die, but in certain circumstances his or her spirit can remain intact in the unseen world of the shamanic cosmology. This is especially likely with traumatic circumstances. Psychopomp is a practice of helping people heal so their spirits can continue on their path of evolution. The East Coast chapter of the Space Clearing Society is located in Rhode Island. Rhode Island is a place, like many others, where many people have died in a state of trauma. One of the bloodiest conflicts ever fought between Europeans and Native Americans happened there— a series of battles fought across New England called King Philip’s War that occurred between 1675 and 1678. One of the more lurid of all the atrocities committed in the course of the war was something called the Great Swamp Fight. Colonists attacked Narragansett Native Americans. The Narragansett people had not participated in any of the battles between the Native Americans and the colonists and were trying to hide from the conflict in a fort they built in the middle of the swamp. The colonists tracked them down and attacked them, burning their fort and slaughtering over six hundred people as they tried to escape, most of them women and children. The Space Clearing Society has spent many hours clearing the land around the Great Swamp and at other sites where the confrontations of the King Philip’s War occurred. 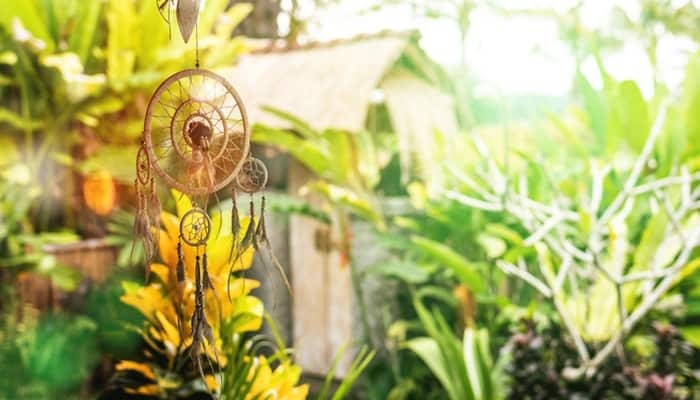 One of the more remarkable aspects in doing this kind of clearing is the information that the shamanic practitioners receive in the process of doing the work. It is not uncommon that people will tune into the same experience of the past. They become aware of the shamanic guides working very similarly to them on the inner plane to address traumas. At one of the first clearings we did at the Great Swamp, two of my fellow practitioners described a mother, hysterical and inconsolable, screaming for help for her burned child. The guides worked to heal the mother and child in separate but similar ceremonies. Several practitioners described encounters with a medicine man who they described in almost identical terms. He reported the same intention to each of them: to stay with his people until they could be helped by the healing we were offering. “The slave trade started here with the spirits: Rhode Islanders would manufacture rum, which they would ship to Africa and sell or trade for slaves. ‘Rhode Islanders were really good at making rum,’ he says. Then the Rhode Islanders would transport the slaves in the Caribbean and the southern colonies, which later became states, where the slaves would be sold or traded for sugar cane. ‘They would fill the boat with sugar’ that was brought home to the Ocean State to make the rum. The members of the Space Clearing Society did a series of clearings of the holds of the ships where the slaves had suffered and died. These ships had been docked in Newport, a wealthy town built with the money from the slave trade. Their inner guides worked with the spirits of the people who had died in this trauma. Many of the members’ reports of these clearings focused on ceremonies that were conducted by inner guides. In the healing journeys, many of them observed the guides participating in similar ceremonies they were told were helping heal the suffering and death that occurred in multiple ship holds where slaves were held. This clearing work is continuing as the members of the Space Clearing Society address other aspects of the slave trade, including clearing spaces which were stops on the Underground Railroad in New England. These are places slaves would try to reach as they sought to escape their situation. Through the vehicle of these clearings, the members of the Space Clearing Society have learned about the forgotten aspects of the history of the place they live. In California, the members of the Space Clearing Society address another kind of atrocity against Native peoples: the enslavement of the Native Americans in California. Tens of thousands of Native peoples died as a result of the establishment and settlement of the twenty-one Catholic missions along the coast of California— San Diego to the south and the Solano mission in Sonoma to the north. They were enticed into the missions by Catholic priests and driven to them by Spanish soldiers, and they lived in marginal conditions as forced laborers. The Space Clearing Society is currently working its way north, having started the clearings with the San Diego mission. Here is a brief report of the clearing of the fourth mission that was settled, Mission San Gabriel Arcángel in San Gabriel, CA. Founded in 1771, this mission was settled by Father Junípero Serra. There are an estimated six thousand Native Americans buried here in one of the largest and oldest mission cemeteries. The native people here were called the Tongva, meaning “the people of the earth and ocean.” They lived in the area for over seven thousand years before the Spanish missionaries arrived. After the mission was established, there was a sharp decline of their population due to enforced labor, relocation, and disease. I know from my own experience how humbling it can be to assist in these shamanic ceremonies. The experiences that arise from the journeys when clearing space can be profound, even life-changing. Many members of the Space Clearing Society have dedicated themselves to this kind of work and have found their lives enriched. People in numerous cultural contexts have suffered and died in painful and traumatic ways. As shamanic practitioners, I feel we have a duty to assist native peoples who have lost so much as a result of their interaction with Europeans. It is within many of these cultures where the shamanic traditions that inform and enliven the modern world were held for millennia. As the founder of the Space Clearing Society, I feel profoundly grateful to all those who have held this wisdom for so long. I feel fortunate to be able to receive and teach this wisdom so we can participate in healing through the activities of the Society. I am doubly grateful to all the members of the Space Clearing Society who devote their time and energy so generously. Through shamanic practice, we can help those who have gone before us, and those who stand before us. In engaging in this way, we dedicate ourselves to the spiritual health and wellbeing of all those who will follow us into the future.